Hypertext Markup Language (HTML) is a system that enables programmers to achieve font, colour, graphic, and hyperlink effects on web pages. The HTML5 working group includes Apple, Google, Microsoft, Mozilla and hundreds of other vendors – including CPL Online. We are upgrading over 35 e-learning courses to HTML5 to make online training even more accessible through your favourite devices! At CPL we strive to expand our business alongside quickly growing technology, which renovates and improves every single day. When the courses are available in HTML5 you will be able to do your training on all major browsers (Safari, Chrome, Firefox, Opera, Internet Explorer) as usual but now on any platform you want, including tablet, smartphone and desktop. The HTML5 e-learning courses will be available in 2014 – so keep your eyes peeled next year for our advanced products! Voiceovers are integral for CPLe-learning courses, and as the company delves into further advancements with its online products and services CPL Online treated their VO Artists to a state-of-the art sound booth. The VocalBooth™ was acquired from Dolphin Music, who provide a wide range of acoustic solutions. The VocalBooth™ provides CPL Online with greater sound control and it is the most popular product for any professional recording or sound isolation… and of course, everyone is loving the ‘CPL orange’ acoustic foam interior to match the company branding. CPL Online is constantly striving to improve their products, and by hosting all product-developing facilities on-site they are able to produce quality services for clients and provide new and exciting roles for the talented people who work with them. CPL Online started developing e-learning courses in 2008. In the five years that have passed, we have grown into a reputable company, providing online training for a large section of the hospitality industry and other industries besides. We have expanded from e-learning courses into new services, such as intranet design development to meet the changing demands of a growing customer base. So, what is an ‘intranet’? An intranet is a unique and interactive data sharing and communication package, which can provide a socially intuitive and engaging website for an entire business. The intranets we provide are visually stunning; we can create anything you want for your intranet, whether it’s an exact replica of your organisation or another world completely; providing users with an engaging experience that allows them to access data, images, videos and other resources in an entertaining yet informative manner. We achieve this by creating a highly detailed bespoke user interface that retains the user’s interest and aides them when navigating through the system, creating a high-level of interactivity. Other benefits of the internet service are the sophisticated communication package, which offers multiple forms of contact between users, an easy-access system that is available to users from any internet access point and complete data integration of a company’s interfaces, which to brings all the information a business needs into one central location. The first intranet we ever created was for Stonegate Pub Company, which was launched in October 2012 and is a vibrant, online communal point for the company’s 560 sites across the UK. This Sunday six women from the CPL Training Group supported the charity Cancer Research through the UK event ‘Race for Life’. Race for Life is the second charity campaign CPL has been involved in this year (the last one being Red Nose Day) and it has provided an excellent opportunity for everyone in the company to get involved with the event; whether they were racing or not. The charity campaigns help to bring everyone together - not just across the Group - but those that work in separate divisions within CPL Online. Events like Race for Life give employees the chance to integrate and create a good working atmosphere. Of course, producing great products like our e-learning courses is something to take pride in, but to see everyone in your company get along with each other is something else. The campaigns also raise company awareness through social media; our Facebook page has seen over a 300% rise in likes and interactions (e.g. people talking about the page) in the past seven months, and the highest peaks are usually around the same time we upload pictures from charity events. All in all, I am very proud of the girls. They’ve come together to raise money and awareness for a good cause under the banner of CPL, and I wish them all the best for next year’s Race for Life event. 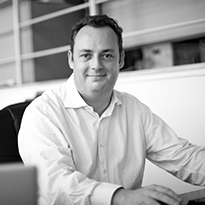 David is Managing Director of CPL Online, part of the CPL Training Group. CPL Online is involved in software development as well as the revolutionary e-learning platform. With over 19 years experience within the IT sector David has worked extensively across the corporate sector developing database, marketing and management solutions. His instrumental part in the development of our e-learning platform has helped to make it as successful as it is, with more and more companies choosing our e-learning over competitors for its use of technology, accessibility, bespoke options and a wealth of other features to assist companies in their training.